Minnehaha Creek flows out of Lake Minnetonka and lot of fish go over the dam during the spring runoff. I love to snorkel here until the creek gets too polluted by all the human activity on the lake. Winter is blessing for Lake Minnetonka because it is able to heal from the summer boating season. 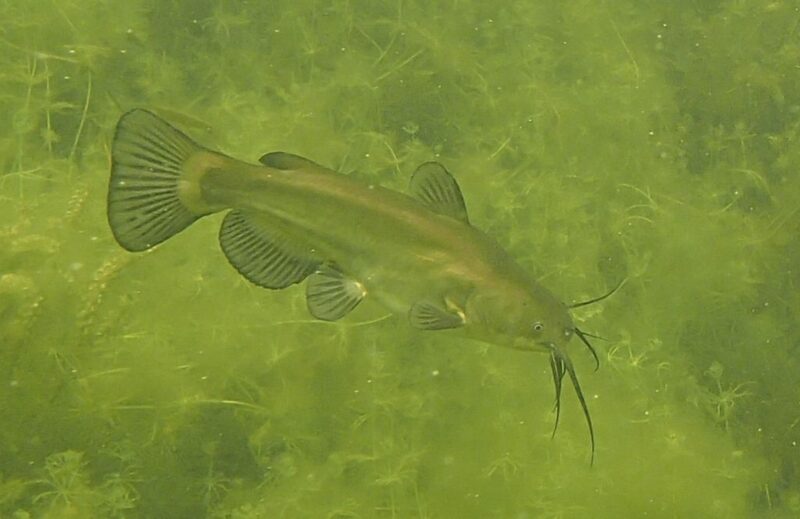 Brown bullheads are bottom dwellers and they usually skitter away when danger approaches. True, most people do not like bullheads. But when you are swimming in their element, it is easy to appreciate their uniqueness. 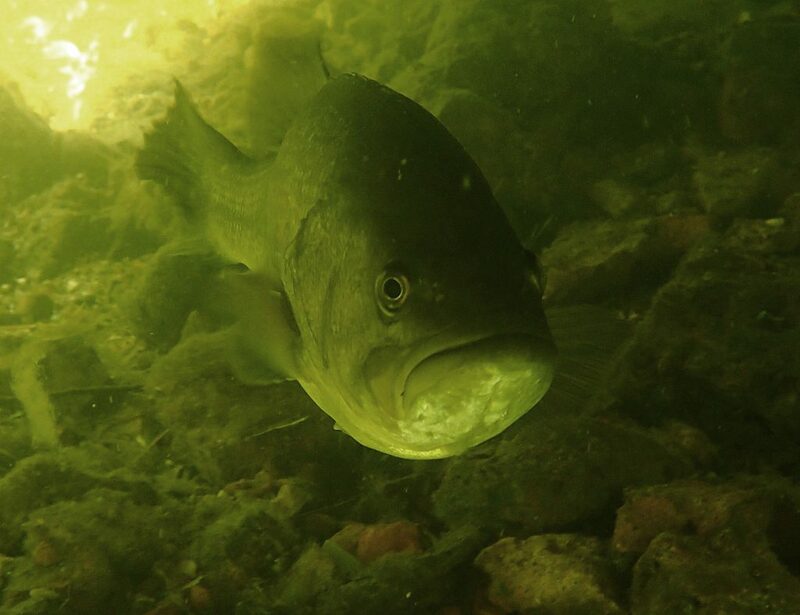 Eye to eye with a largemouth bass. 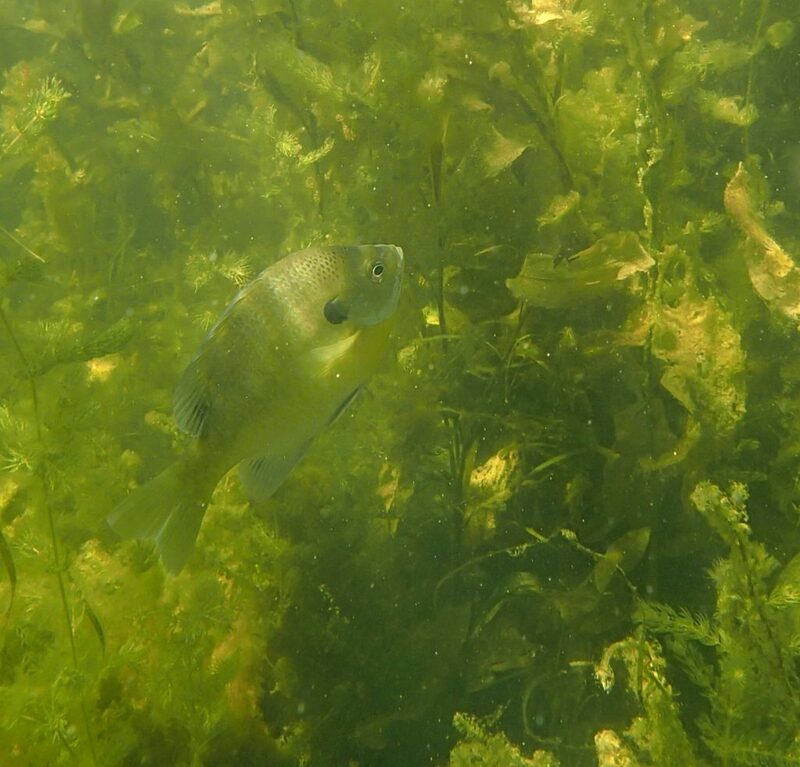 One of the little surprises that continually occur while snorkeling in the creek. 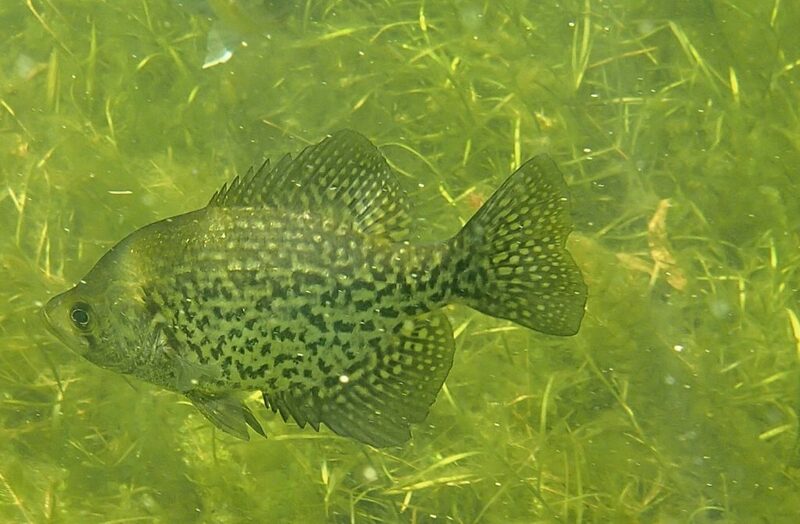 Crappies are like angels with fins instead of wings. They are so gentle and have a quiet beauty. 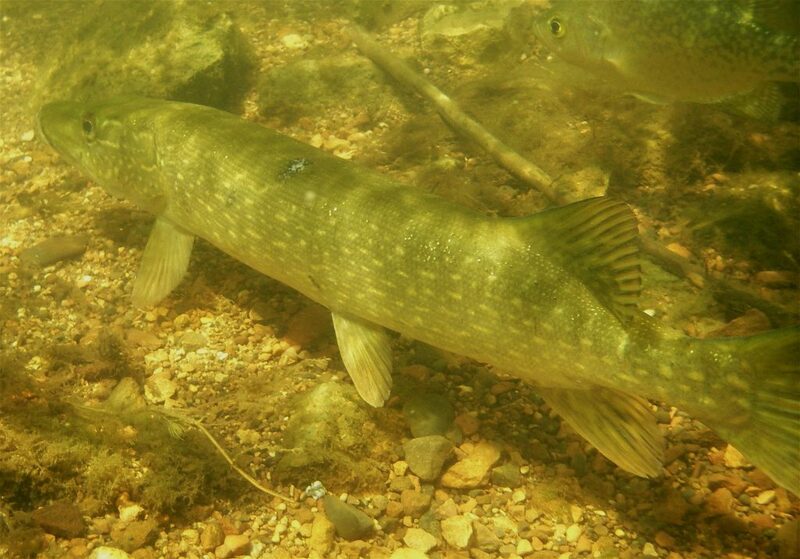 This young northern pike allowed me to get within a few feet of it. The beautiful camouflage pattern made it difficult to see. 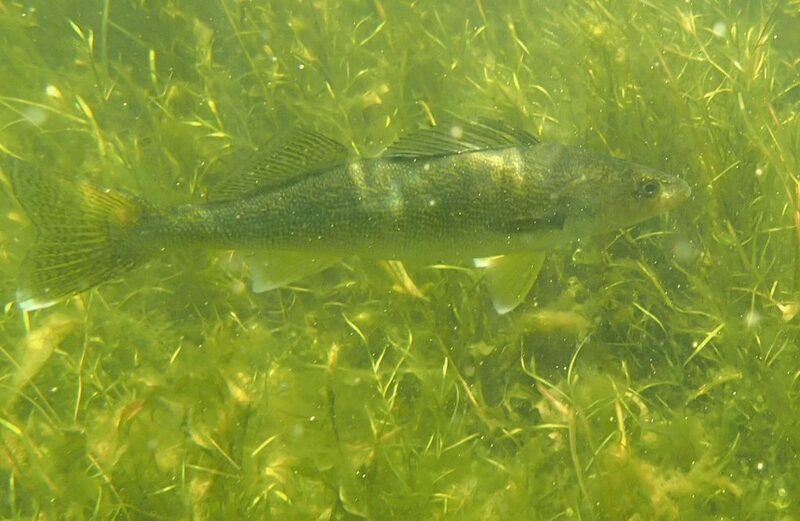 Walleye are so mysterious. They lurk in the shadows. 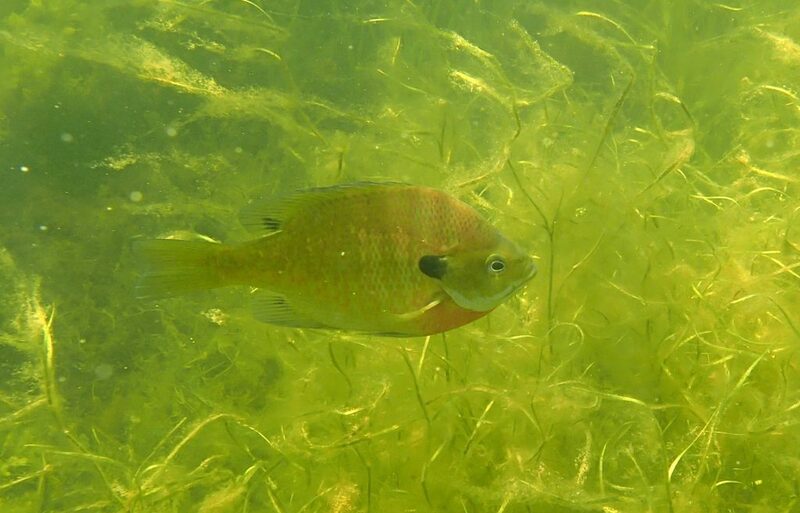 Male bluegill in breeding colors. I have not seen bluegill nests in the creek. Probably because the river’s current would wash them out. Primitive, creepy and beautiful. Bottom feeder. 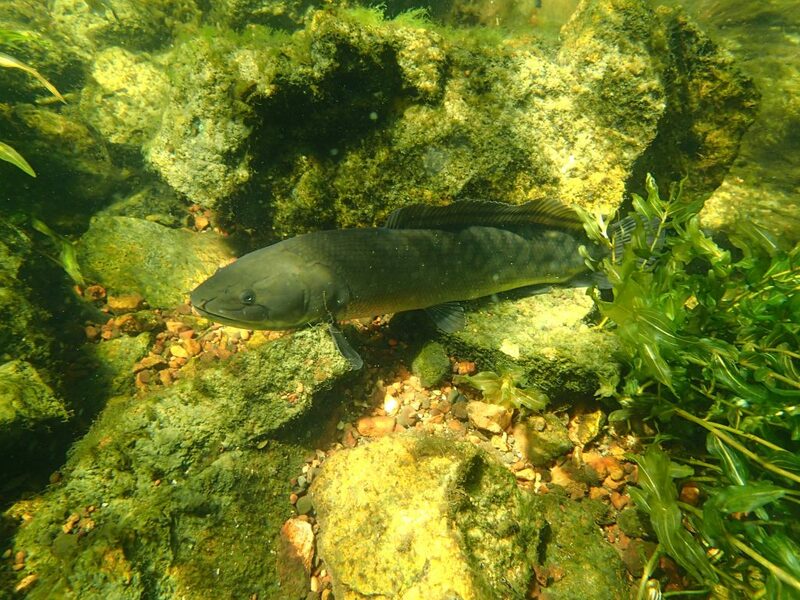 I only saw one bowfin this year. This photo is from 2016 when there were dozens of them. The creativity of nature continually amazes me. The subtle pattern of a smallmouth bass is food for the soul. In this photo you get a hint of how the light dances off the fish and the plants. Nothing like seeing a large pike to make your heart stop. This entry was posted in Animals, Photography/Art, Summer. Bookmark the permalink. Loved the Minnihaha underwater shots. Snorkeling is one of my favorite things to do there but I’ve been gone all summer and missed it this year. Thanks for keeping me updated on what was lurking in there this summer! 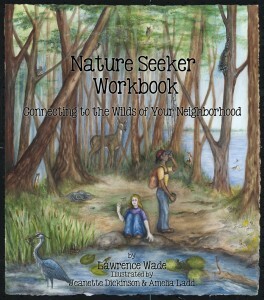 Well, next spring I should get a shot.